How does a sunrise look after 40 days of darkness? 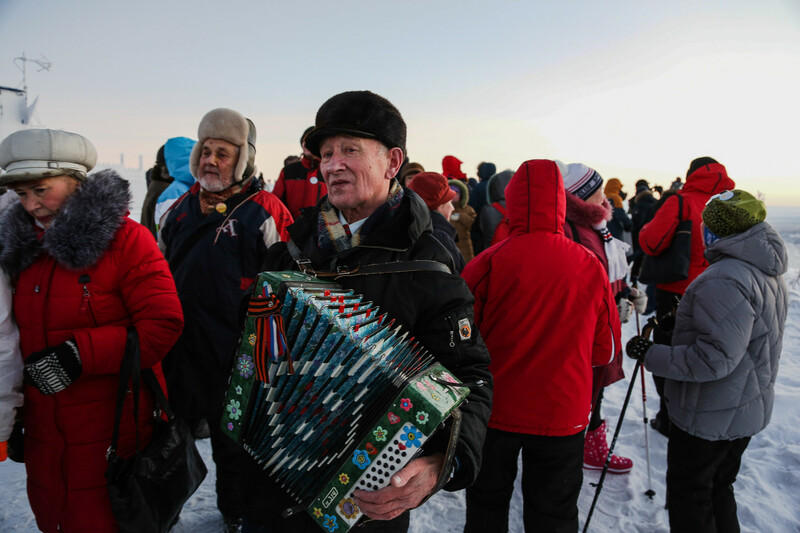 Unsurprisingly the locals of Russia's Murmansk were over the moon to finally witness daylight. For most people, the sun rises every day but spare a thought for the residents of Murmansk (1800 km north of Moscow), the biggest city north of the Arctic Circle. For the locals here, sunrise certainly isn’t taken for granted. During the final few months of 2017 the polar night lasted no more than 40 days. The sun was a no-show. Luckily this doesn’t mean it was completely dark – it’s more like twilight – nevertheless it’s not a period many people look forward to. As you can imagine, the locals were pretty glad to finally see the sunrise on Jan. 12, 2018. 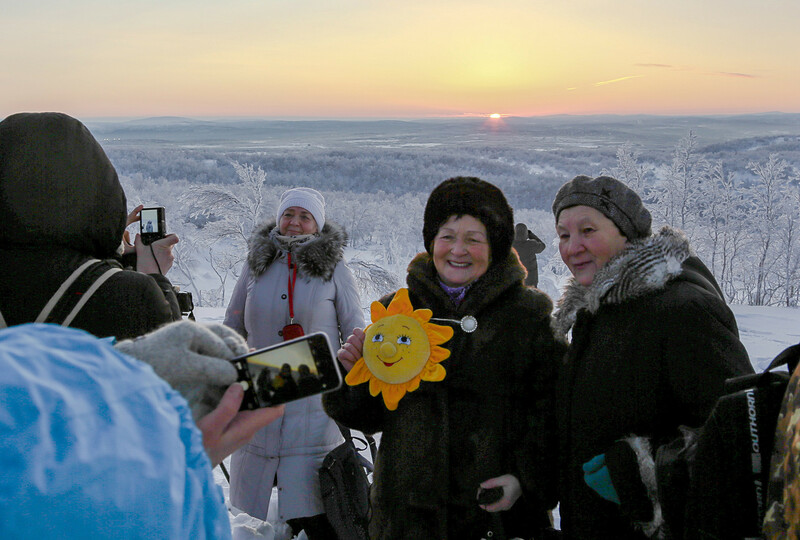 Citizens of Murmansk take pictures at the celebration dedicated to the first dawn of 2018. As with every year, many flocked to a special place outside the city called Solnechnaya Gorka (“Sunny Hill”) to catch the momentous event. Several hundred people celebrated by drinking tea and dancing but they didn’t have long to improve their tans – the sun was up in the sky just for 34 minutes. The days will continue to grow longer though as we approach spring, so there’s plenty more time to soak up some much-needed rays. The sun was such a rare case in Murmansk for a couple of weeks that it makes sense to greet it with music. 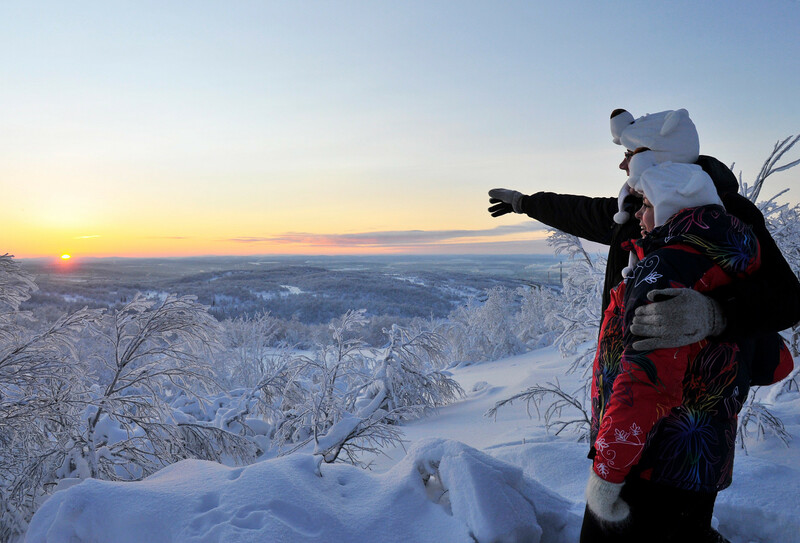 A man welcomes the sun rising over Murmansk for the first time since early December 2017 and marking the end of a polar night. 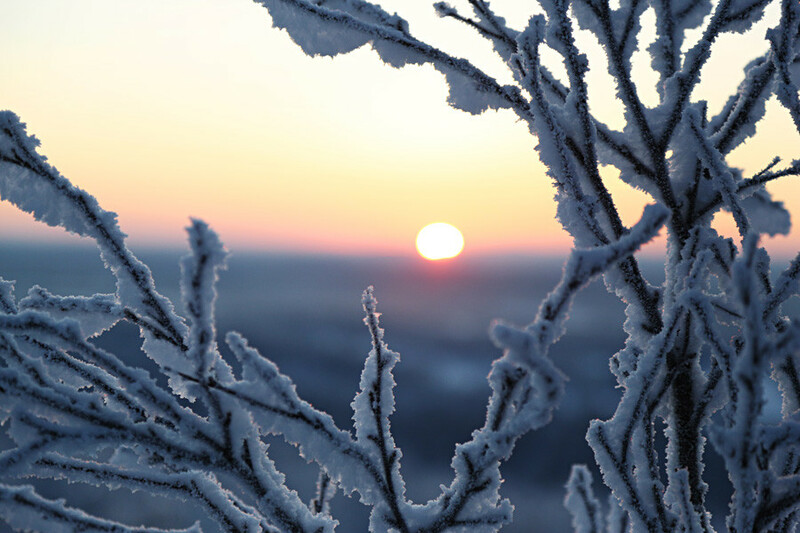 That is how the sunrise looked like from Solnechnaya Gorka near Murmansk. Sure living beyond the Polar Circle is no peace of cake. How do Russians handle such dire conditions? Read our special text and you’ll know.